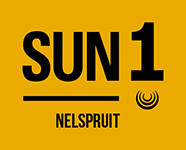 The budget SUN1 Nelspruit hotel in Mpumalanga is convenient, comfortable and affordable. Accommodation is offered at cheap rates and can sleep 1, 2 or 3 guests sharing. Enjoy free property-wide WiFi, secure free parking and bottomless coffee in our public area during your stay at the SUN1 Nelspruit.